Double The Signing, Double The Fun! 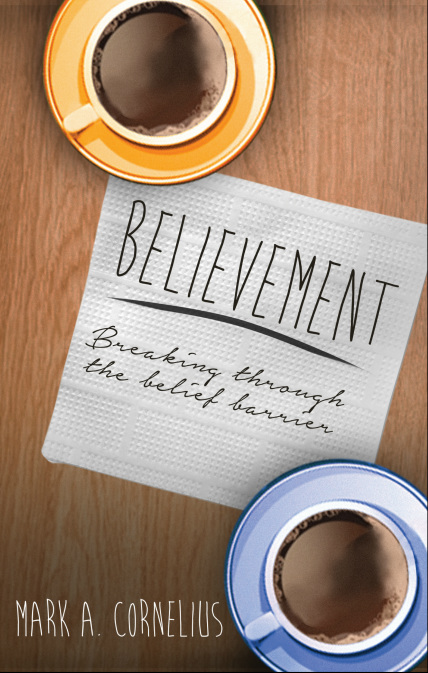 Order the Expanded version of Believement now through Tate Publishing. This new release includes an in-depth Companion Study that will challenge your ideas about personal belief and God's involvement in your life. Order now or contact Mark (markc91754@comcast.net or phone 615-948-8214) to discuss group study opportunities. Believer and Unbeliever appear to approach philosophical and spiritual discussions as debates – complete with their own individual ‘code language’ that, when used, creates a defensive position, a ‘Belief Barrier’, to be overcome before any meaningful exploration of truth can begin. What Separates My Belief From My Unbelief? This book is simply a conversation between two people with different outlooks on belief. It is not designed to prove one side right or wrong, but merely to provoke conversation. Without a dialogue, there can’t be a deeper exploration of “self” in comparison to others around you. Without interaction, there can’t be a relationship at all. May your quest for Believement begin here!